treetbees™ is the app that pays you cash on the fly! Download the app and get connected with paid tasks from the brands you use every day. Take a photo of your kitchen cupboard, tell us how you choose your afternoon snacks, or check the price of a chocolate bar in your local grocer. That’s it! Send your answers and earn cash instantly while shaping the future of your favourite products and places. It usually takes less than 5 minutes to complete a task and we pay between £5 – £15 for each task. Seriously. Tasks are as easy as taking photos of your fridge or noting the price of a product in a supermarket. We’ll let you know whenever there’s a task available near you. We have tasks in more than 70 countries so you can make cash while travelling too. Many tasks get snapped up within hours so get in early to avoid missing out! 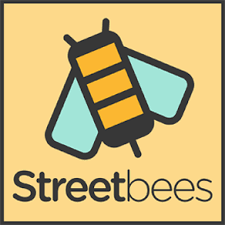 JOIN THE STREETBEES COMMUNITY TODAY and become a part of this information revolution. Let’s make the world more connected, more mobile – more intelligent! Please note that the app works best with GPS / location on to direct you to the tasks right around you.